It all started in January 1980 when Sinclair announced the project that their engineers had been working on since May the previous year. 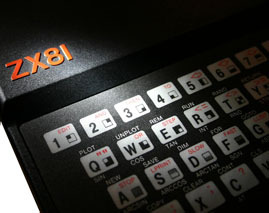 The following month the ZX80 appeared, in kit form initially, and went on to sell over 50,000 units - the seeds of the home computer revolution in the UK had been sewn. 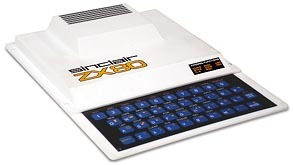 In March 1981 the follow up in the form of the ZX81 was launched and after a “buggy” start its success snowballed as the bedroom programming revolution started and magazines sprung up to cater for the demand for program listings! As more and more commercial games appeared (some very successful if your imagination could stretch to the blocky graphics looking like aliens), sales rocketed and within 2 years over a million ZX81’s had been sold. 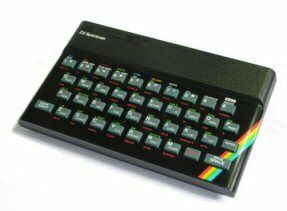 The pinnacle of Sir Clive's creations was the Spectrum - arriving in 1982 it brought colour computing to the masses. Very clever marketing stressing the educational capabilities of the computer and software that would follow, enabled millions of school kids to convince their parents that it was a homework tool! The difficulty Sinclair had in meeting those initial demands is now stuff of legend. Masses of software (mainly games despite the marketing) and add on peripherals appeared rapidly and third party manufacturers of many types flourished. By 1985 though sales had started to slide and work started to improve the Spectrum+ paving the way for the new Spectrum 128. The new machine was the first Spectrum to produce decent sound via its new 3 channel 7 octave system. It also sported 128K RAM and a new 128 Basic which saw off the old keyword entry (although 48K compatibility mode was retained for all that software out there). The new machine was launched in February 1986 - just a little too late for Sinclair. Amstrad bought the company a few months later after if had suffered heavy financial losses (blamed on the Sinclair C5) and promptly dropped the Spectrum 128 making it somewhat of a rarity today. Later the same year Amstrad brought the +2 to market which was Spectrum 128 board squeezed into case of similar design to its own CPC6128. It had a built in tape recorder and was aimed more at the console market. Development now was at a much slower pace and the next machine - the Spectrum +3 - didn’t appear until 1987. This had Amstrad's own 3” disk drive from the CPC built in and an upgraded version of BASIC complete with a new operating system. The new model didn’t sell well though and the +2 remained the punters choice of machine. It was difficult to get software for the +3 and even more difficult to transfer tape based games to disk. Maybe for this reason and updated version of the +2, the +2A also appeared later in 1987. The main board and ROM were very similar to the +3 and it continued selling well beyond the +3 into the early 1990's. 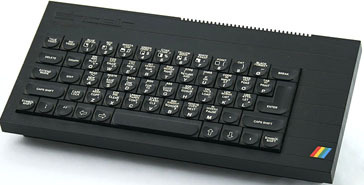 Alongside of all this Spectrum activity, Sinclair got serious in 1983 and launched the Sinclair QL - described as the first 32-bit business machine for under £400. With a new Motorola 68008 processor, 128K RAM (although strangled by an 8-bit bus), twin microdrives and real monitor connectivity it certainly sounded impressive. However, real supply problems from a disastrous mail order arm, the rapid growth of the PC and the damage to the Sinclair name done by the C5 Trike saw sales struggle to only 100,000 units by the time Amstrad bought the company. It was promptly dumped! Still popular today with collectors though, particularly good quality boxed systems.